The ugliness of the post-Katrina police shootings in New Orleans that left two unarmed citizens dead and four wounded in 2005 on the infamous Danziger Bridge continued to unravel in U.S. District Court. New Orleans cop Michael Hunter,33, became the third cop –and the first to actually witness the shootings — to plead guilty. Two other cops have pleaded guilty to covering it up during an investigation. He plead guilty Wednesday to conspiracy to obstruct justice and misprision of a felony, or failing to report a crime, the New Orleans Times-Picayune reported. 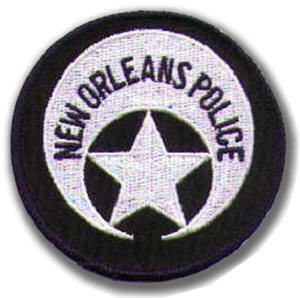 The New Orleans Times-Picayune reported that Hunter in his guilty plea said that a New Orleans police sergeant fired an assault rifle at wounded civilians at close range even after other officers stopped firing and there was no indication the officers were in danger. The paper reported that Hunter also admitted that another officer fired a shotgun at a fleeing man’s back even though the man, who was mentally disabled, posed no danger. He died. Hunter, according to the Times Picayune, acknowledged as part of the guilty plea partaking in a cover up with colleagues. “I don’t think you can listen to that account without being sickened by the raw brutality of the shooting and the craven lawlessness of the cover-up,” said U.S. District Judge Sarah Vance after the facts in the guilty plea were read aloud in court by Bobbi Bernstein, deputy chief of the U.S. Department of Justice Civil Rights Division, the Picayune reported. Posted: 4/8/10 at 10:38 AM under News Story.